Rather than starting out with a bang, the race started with a dog whistle, barely audible over the sound of the rain pounding on our helmets. 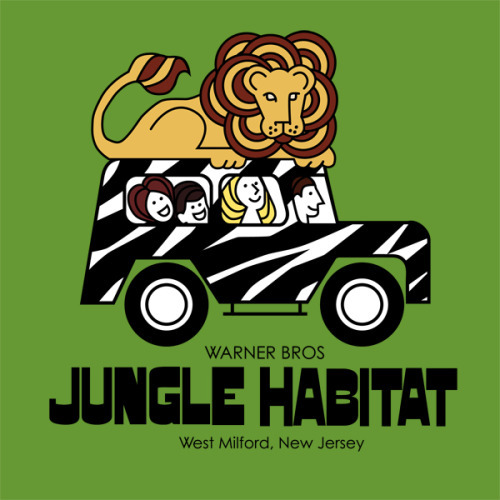 Jungle Habitat, now a popular trail network in West Milford, NJ, used to be a theme park owned by the Warner Brothers in the 1970s. Its main attraction was the Safari section where tourists could drive through and get a glimpse of wild animals roaming through the woods. These roads, now overgrown with weeds sticking up through the pavement and poison ivy clinging to the bordering trees, give the park an eerie ghost town feel. But, if you’re on your mountain bike riding the single track woven in between the old roads, you’re having a ball weaving through the flowy, yet technical trails. I’ve always thought this park had it’s own persona, but it really came alive in the rain. The Cat 1 racers shot off down one of the safari roads which eventually led to the beginning of the Warthog trail. Yes, every trail at Jungle Habitat is named after an animal. The Warthog trail is a twisty windy, super fast loop…Usually. Due to the rain, it seemed like all the riders hit a wall once we entered the woods. The corners were slick, and not even five minutes into the race our drivetrains were clogged with unforgiving mud. This when I decided to put my front wheel into a large rock and in homage to superman, fly over my handlebars into the forest. I watched the rest of the group pass by with relative ease and disappear into the misty rain. On July 8th in 1974 a woman at the Jungle Habitat theme park was bitten by an Elephant which pulled her to the cage with its trunk. She sued Warner Bros. for $200,000. There are other numerous accounts of exotic creatures escaping the park and running amok through West Milford. 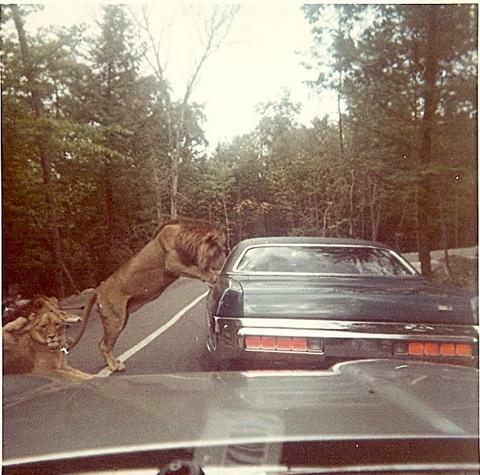 The most well known incident happened when a tourist rolled down his window to get a better look at some lions and was attacked by one of them. Knowing all of this adds to the allure of the park. It breaks up the adrenaline rush of bike racing when you are about to ascend the “Otter Slide” climb and right next to you are the remnants of the otter tank, complete with a slide. All of a sudden you’re daydreaming about families crowded around the tank, buying refreshments at the decaying kiosks, or photographing a lion on the hood of a car. This place certainly deserved coverage by Weird NJ. Unlike many places in northern NJ, the rocks here seemed to stay pretty tacky in the rain and I was able to get a good run up the climb. The rest of the course is all downhill in a counter clockwise direction, and is fast, tight, and techy. The amazing part of mountain bike racing is that even though you start with a big pack of riders, you can end up riding alone for most of the time. It gave me time to terrify myself on the descents and clip my bars on the tight trees. For the second and third laps, I found the rhythm of the muddy park. Riding past people with snapped chains, flats, and broken derailleurs, my only thoughts were, “Just keep it together and finish the race. Don’t get too excited.” Solid advice, but when one of my downed comrades with a busted freehub told me I was in fourth, I cranked harder. The details around why the park closed are a little fuzzy. There are rumors that they just locked the gates one day and let the animals fend for themselves. It’s amazing that in such a short period of time Jungle Habitat went from having lines of 500 cars for the safari, to completely off the grid in just four years. This park is an incredible place to go to ride bikes or just stroll through and look at all the old buildings and animal enclosures. Check out JORBA‘s website for maps and info. Who knows, there could still be a few exotic animals to spot lurking in the woods. The Cannondale Scalpel 1 Carbon performs flawlessly in the mud. Another great day spent on a bicycle.